Taking place six months after the first film, Dory suddenly recalls her childhood memories. Remembering something about “the jewel of Monterey, California”, accompanied by Nemo and Marlin, she sets out to find her family. She arrives at the Monterey Marine Life Institute, where she meets Bailey, a white beluga whale; Destiny, a whale shark; and Hank the octopus, who becomes her guide. The new Pixar movie stars Ellen DeGeneres, Albert Brooks, Hayden Rolence, Diane Keaton, Eugene Levy, Ty Burrell, Kaitlin Olson, Ed O’Neill, Willem Dafoe, Vicki Lewis, Idris Elba, and Dominic West. 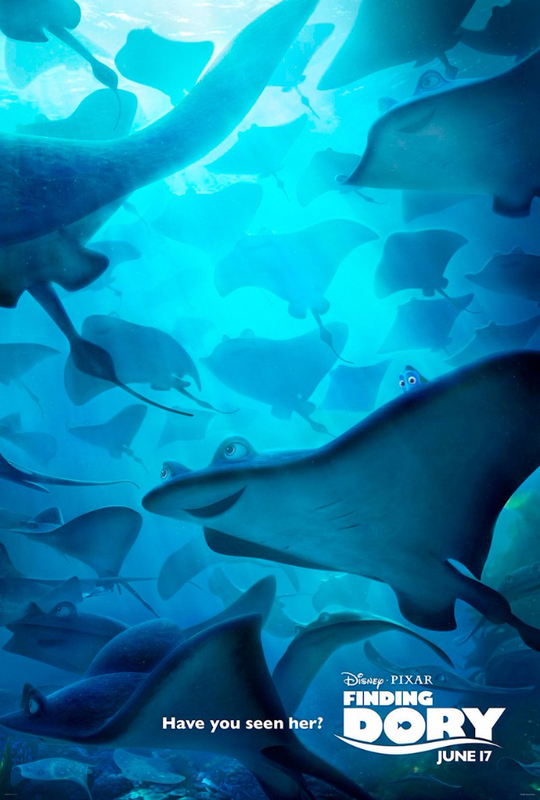 Pixar’s “Finding Dory” hits theaters on June 17.